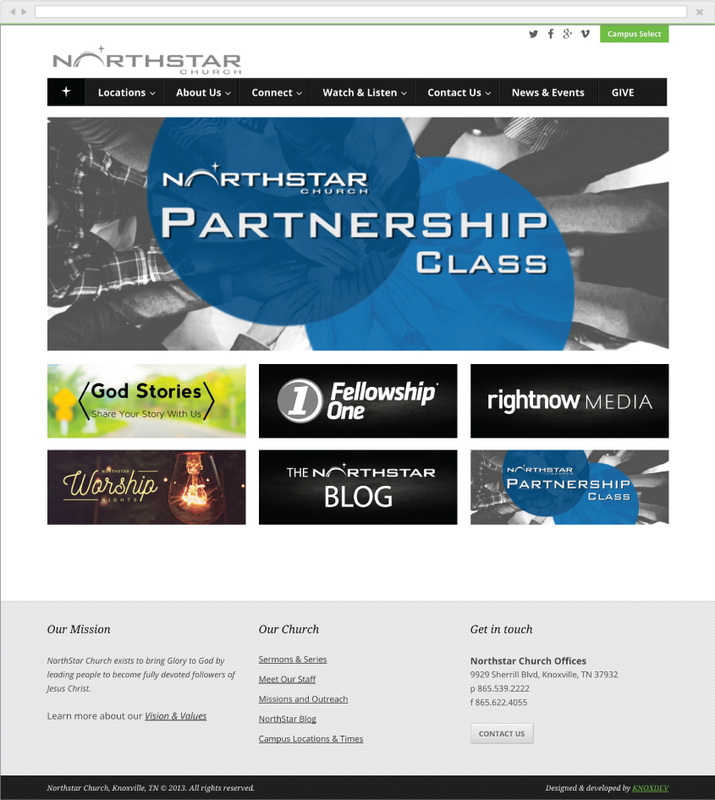 NorthStar Church is a growing contemporary, non-denominational church in Knoxville. We were able to transition them from their old, rigid, limited functionality, service based site. Working with their team to determine their requirements we developed an iconized interface that easily allowed them to configure the interface.